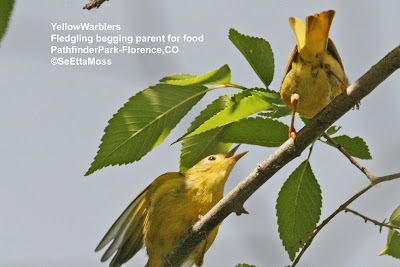 I found several Yellow Warbler parents feeding their fledgling offspring at Pathfinder Park near Florence,Colo. OCEAN PARK, Wash. - A speeding motorist plowed through flocks of birds on the beach near Ocean Park Friday, killing more than four dozen gulls, terns and other species. On Sunday, Sharnelle Fee, director of the Wildlife Center of the North Coast, east of Astoria, tended to the lone survivor, a Caspian tern with a splinted right wing. Fee also helped Sgt. 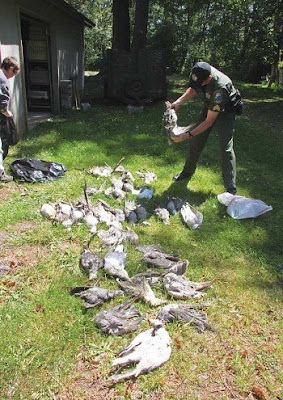 Dan Chadwick of the Washington Department of Fish and Wildlife sort 35 carcasses by species, laying the bodies on the lawn at the center east of Astoria. A volunteer with the rehabilitation center found the dead and injured birds Friday afternoon and brought two injured but live birds and the carcasses to the center. 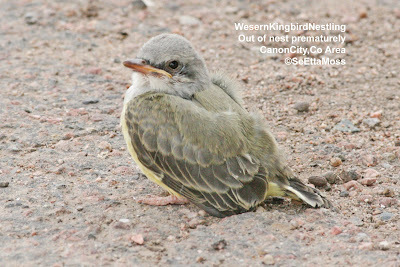 One bird was too badly injured and had to be euthanized. 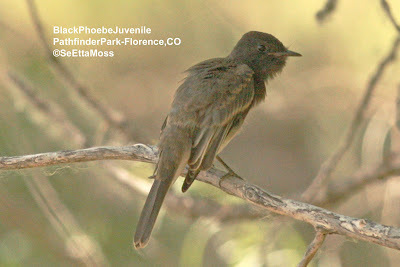 The volunteer reported seeing more dead birds that were being washed out to sea and could not be recovered.